Heideggeroids are known for their word play and inability to generate concrete expressions. This is especially true of scholarship on division II of Being and Time and later Heidegger. I’m sometimes suspicious that the scholar I’m reading has no idea what he or she is talking about. Accordingly, Heideggeroids usually substitute bad neologisms and jargon for a clear understanding of the phenomenon. A Heideggeroid might respond by saying they are only following the Master’s lead. But Heidegger can be excused for his cryptic writing style because he understood the phenomenon to be described. Because he had such an intuitive understanding of the subject matter, he also realized the difficulty of capturing the rich manifold of human experience in the web of language and concepts. And not just any web, but one deeply embedded with metaphysical presuppositions that had long since oozed into the vernacular understanding by means of leaky philosophical systems. All his life then, Heidegger struggled with the same problem that has faced Zen for centuries: how do you think about thoughtless experience? Rigorous phenomenology reveals that reflective, thinking consciousness sits on the surface of our total cognitive system. The idea of a vast, subpersonal ocean of mental activity is well-accepted by theorists today. Moreover, meditaters have understood since its original development that the thinking mind is part of a greater whole.This idea was also “in the air” during Heidegger’s time (through psychology and psychoanalysis). Indeed, one could say that the “they-self” is Heidegger’s attempt at describing unconscious processes in nonpsychologistic terminology. However, if we admit that the nonconscious mind is a legitimate form of human mental experience, albeit not filtered through language and socially constructed concepts, how do we include it into our phenomenology? Close study of the mind reveals that it is the unconscious libidinal energy that grounds the rational, self-reflexive ego. Without the emotional undercurrent of the unconscious, the thoughts that float on top would lose their connection to the ongoing stream of bodily experience. You can see then the dilemma that phenomenology faces when confronted with the fundamental reality of the they-self. I suspect Heideggeroids are in the same position of ignorance. They read Heidegger’s words and learn how to string his neologisms into semi-coherent sentences but they fail to grasp the original, wordless experience of absorption. Because they do not understand the full target of phenomenology, they wind up sounding strange and esoteric in their speech and writings. But it’s time to wake up from this lostness into jargon. Heidegger already did the heavy phenomenological lifting for us. If we are to continue the task of phenomenology then, I think Heideggerians would profit more from heavy meditation rather than reading the Master. After all, a return to the “things themselves” does not mean a return to dusty German texts; it means a return to the primordial phenomenological datum: lived experience in all its manifold richness. 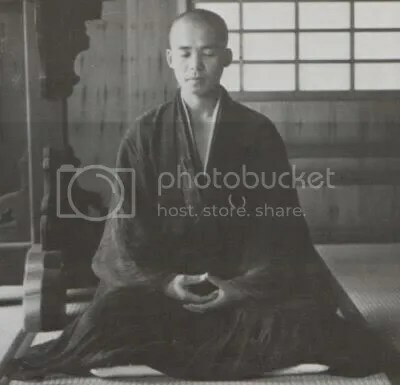 meditative experience (bare intuition) <– [thought about success conditions of meditation] <– [thought about [thought about success conditions of meditation]], etc. As you can see, there is no way to mentally “check” if you are succeeding at meditation without breaking the thoughtless flow of meditative experience itself. Mindfulness meditation is something you either do or do not do. There is no in between. The instant you narratize about yourself meditating, you cease to meditate. This curious failure condition of meditation is central to the skill of controlling the mind through noncontrol. It is impossible to mentally force the success conditions of meditation through sheer willpower. No amount of brute thinking power will get you to the state of Zen mindfulness because the success conditions are constituted by a lack of narratized thought control. Curiously then, Zen is one of the few skills that cannot be mastered by force of will. The only way to successfully meditate is to learn how to turn off your narratizing mind. Obviously, if you try to do this through the power of thought, you will fail. One must master the art of control through noncontrol and inhibit the commentary of thought at the root source. Noncontrolling control or action by nonaction is difficult to describe in words precisely because it isn’t structured in terms of narrative control. The best I can say is that mindfulness is learned just like any other skill: through practice; the more you do it, the more automatic it becomes. It occurred to me the other night as I was falling asleep that meditation is a special cognitive activity. This is not the first time I have had this thought but whenever it occurs, I am always perplexed. Meditation seems to be one of the few behaviors where the achievement of it necessitates that you are metacognitively unaware that you have achieved it. Because meditation is concerned with the dissolution of conscious thought in favor of mindful awareness, it is impossible to metacognitively think “I am now meditating” while successfully meditating. Whereas thinking “I am now running” does not interfere with the action of running, if you think “I am now meditating” while meditating, you will immediately cease to successfully meditate. This leads to a paradox of sorts wherein the desire to pat yourself on the back and think “Keep up the good work!” or “I am so good at meditating!” will immediately halt the action that you are trying to congratulate yourself for achieving. It is hard to think of other activities that involve this same kind of paradox. Nevertheless, this puzzle seems like one of the central features of meditation in terms of fostering a cognitive skillset useful for everyday coping. It teaches you to act without mental commentary, to breathe without thinking “I am breathing”, to be-in-the-world without reflexively thinking about your situation. Moreover, what is the difference between controlling your breath voluntarily and merely watching your breath? The answer to this question seems to me important for getting clear about a number of cognitive puzzles, including the nature of conscious introspection and the distinction between voluntary and involuntary behavior. I don’t think I have a clear answer to this puzzle yet, but I would be interested to see what other people think. It is something I often think about as I am falling asleep, shifting back and forth from watching myself breathe to actively controlling and slowing down my breath. The interplay between these two actions is incredibly fascinating given the mindful awareness of breath often slows it down (longer exhalation periods) in the same way that actively controlling it does. Therein lies the mystery. Who or what is the controller and the controlled? The breather and the thinker, the watcher and the watched? Jaynes has some interesting insights on this question, but I don’t have time to go into them in this post. I am currently working on a paper though that goes into detail spelling out the nature of conscious behavior versus nonconscious behavior. The difference is roughly that between walking and sleepwalking, acting while introspecting and being-in-the-zone. The interesting question then is to the extent to which we can be completely unconscious while still maintaining our capacities for complex perceptual-behavioral loops. I would wager that we underestimate our capacity to do things unconsciously and overestimate to extent to which conscious control is necessary in everyday habit. Today, I’d like to discuss an article by the American Psychological Association on Buddhism and experimental psychology. Interdisciplinary work is currently at the forefront of research into the mind and brain, and what could be more interdisciplinary than working with Buddhist monks? After all, Buddhists have a 2,000 year headstart on empirical investigations into how the mind influences the body and vice versa. The essence of Buddhism’s approach to psychology has never been dogmatic, but rather, has always been empirical in nature. It has always been emphasized that lifelong experience through meditation is the gateway into understanding your own mind, which of course, leads to the understanding of others. It is this emphasis on experience that makes Buddhism so compatible with empirical psychology. One line of research currently being explored by Paul Ekman is concerned with meditation and emotional control. At its heart, meditation emphasizes mindfulness of mental states. This form of mindfulness is an attentive awareness of your thoughts and emotions. In the same way that one might sit in a cafe and passively attend to the various people walking by, in meditation, one strives to not react to emotions, but rather, only be passively “mindful” of them. In a series of yet unpublished experiments, Ekman exposed one Tibetan Buddhist monk to a sudden sound as loud as a firecracker and monitored the participant’s blood pressure, muscle movements, heart rate and skin temperature for signs of startle. The Buddhist monk, possibly due to hours of practice regulating his emotions through meditation, registered little sign of disturbance. 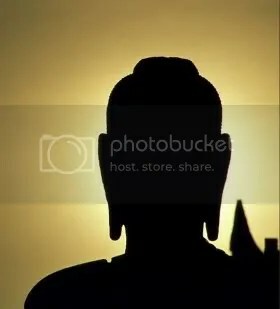 I am about to tread the very path that has been walked by the Buddha and by his great and holy disciples. An indolent person cannot follow that path. May my energy prevail. May I succeed.